Where is located your church? How is it called? Do you do any kind of service in your local church? I’m a pastor. I lead youth group, bible groups etc. What are the main activities in your local church? How big is your church in Poland? Do you have an idea of how many members and churches? Do you have a youth group in your own church? How often does your youth group gather on your church? 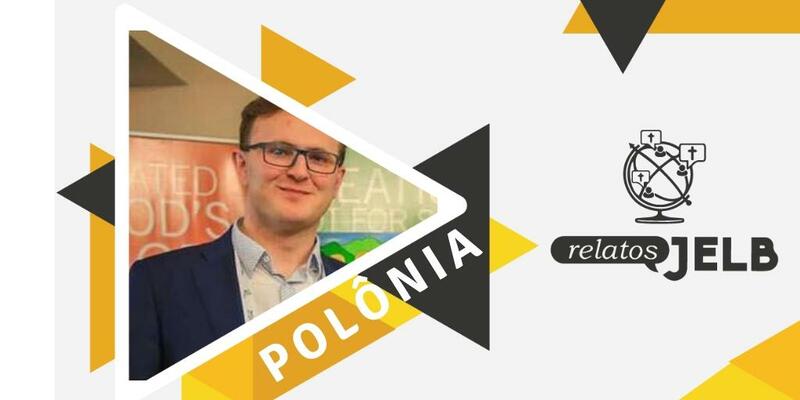 How your youth group gather with other youths in Poland? How are the main events on your national church? Last year event called Evangelical Church Days – it was a part of 500th anniversary of Reformation (a unique one, because it’ll be for the first time). For four days Lutherans from all over the Poland met in one place to commemorate the anniversary. As a part of that event, National Youth Gathering took place. Does the Evangelical Church of the Augsburg Confession in Poland promote any kind of social activities in the country? And what about in your city? There is an organization called Diaconia. Diaconia is a charity organization which supports dioceses in carrying out aid programs and bringing help to the elderly, disabled, children, youths and vulnerable families, as well as relief projects for catastrophe and natural disaster victims. The organization runs its own violence prevention program, takes part in European Voluntary Service and numerous ecumenical actions. There is also a Centre for Mission and Evangelization (CME) which operates in a number of areas: evangelism (evangelization campaigns) and education (courses on leadership, child & youth ministry, pastoral counseling, supervision and Bible School) . Apart from that, CME is active in such fields as social aid (streetworking, Psychical and pastoral counseling), charity, culture and the media. Is there a national Lutheran youth department in the Evangelical Church of the Augsburg Confession in Poland? We have one National Youth Ministry Pastor and six Regional Youth Ministry Pastors – they coordinate youth work. Except that there is Youth Committee in the Church Synod. There is also Centre for Mission and Evangelisation with youth department. Do you have a national youth gathering? If so, in which frequency? How many people use to attend? Yes, we have. We call it OZME (National Evangelical Youth Gathering). It’s every year and gather from 300-500 youngsters. How do you feel about Lutherans worldwide? I have some international friends! I appreciate it! Do you have any experiences with the Lutheran Church abroad? Many of our parishes have a partnership with Lutheran parishes abroad. Our Church is a member of World Church Council and Lutheran World Federation. If you ask about mine experience in that area…. Do you have an idea how is the Lutheran Church in Brazil in terms of size and extension? What is the first thing that comes to your mind when you think about Brazilian Lutheran Church? What means be Lutheran for you? I’m freed by God’s grace to change a world that surrounds me by serving and sharing Gospel! If I want to go to Poland, who should I look for? How should I proceed? Does your church have a Facebook page, or an email where can I get more information about locations and service schedules? Have you also had some experience with young Lutherans around the world? Send us an e-mail at ri@jelb.org.br and we'll be happy to share your story.